Some years later American F5000 driver, Sam Posey competing in the Tasman Series and observing KB’s Lola at close quarters described Bartlett as the ‘master of opposite lock’. 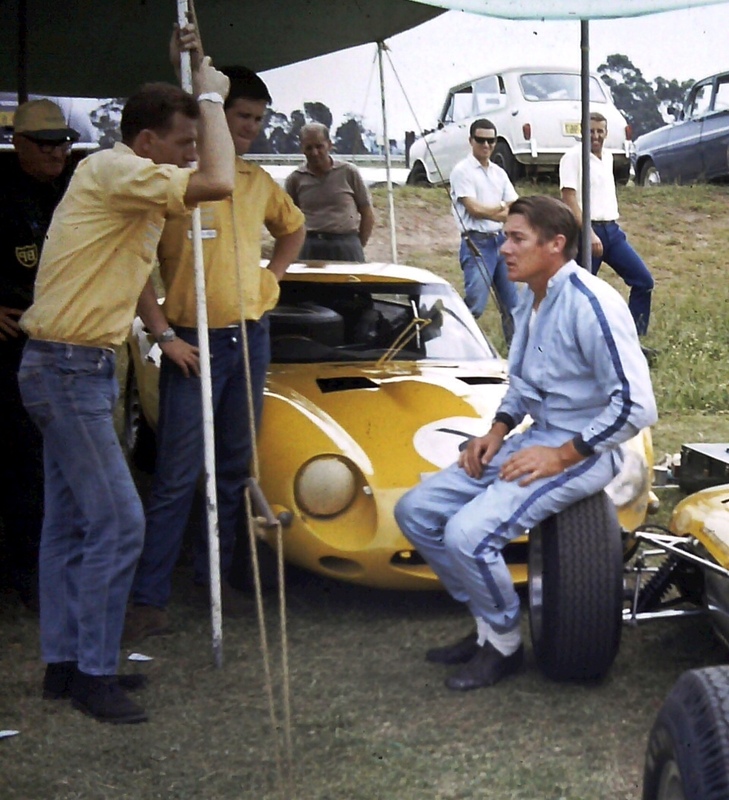 It was an aspect of his driving which worked for him and we spectators throughout his career regardless of car he drove- sedans, sports cars or single seaters. AMR were one of Australia’s first professional teams, the basis of the team formed around a nucleus of talented people who fettled Alec Mildrens cars during his own single seater campaigns, he won the Australian Gold Star Championship and Australian Grand Prix in a Cooper Maserati in 1960. Shortly thereafter Mildren retired from driving to concentrate on his business interests which primarily involved the retail car trade, he was the first dealer of Alfa Romeos in New South Wales, and his race team which employed great drivers including Frank Gardner, Kevin Bartlett and Max Stewart. 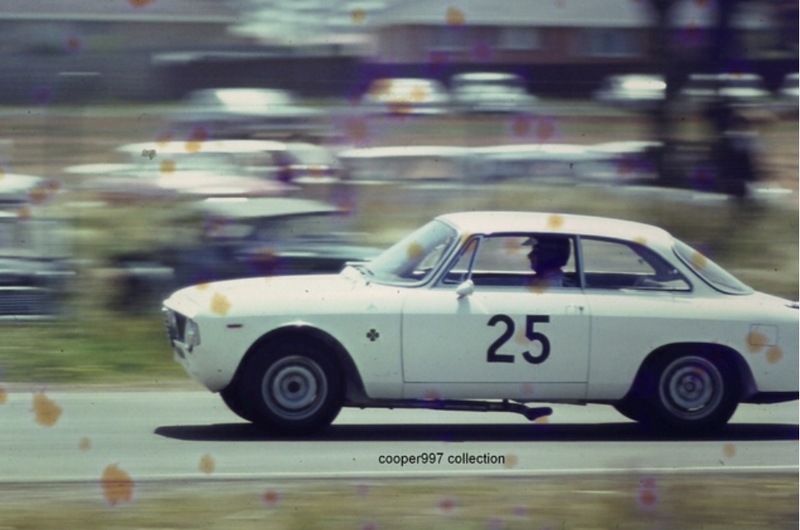 Mildrens’ passion was single-seaters but the team also raced Alfas, notably 2 GTA’s, TZ2 and later ‘105 Series’ Coupes of various capacities in ‘Series Production’ events as those grew in stature in the late 1960’s. Kevin Bartlett started racing in his mothers Morris Minor and very quickly the young mechanic made a name for himself as a fast driver with strong mechnical knowledge and sympathy. 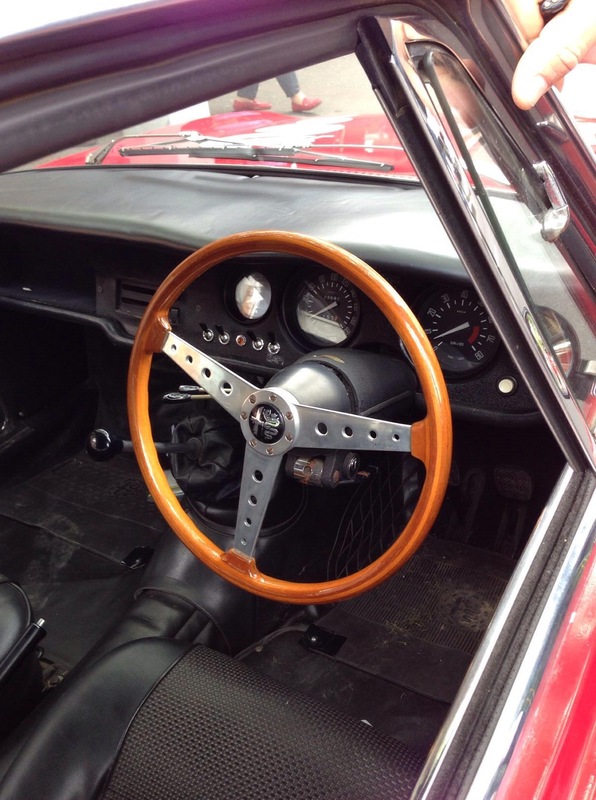 By 1965 he was driving an Elfin Imp FJ owned by the McGuire family and an Austin Healey Sprite and TVR for others. He recalls that ‘Alec and Glenn Abbey (Mildrens Engineer/Mechanic) were always on the lookout for talent, Ralph Sach and Charles Smith who drove for them at the time were getting older and i performed well against them in cars with much less capacity. They also took into account that i could drive different types of cars and do as well as i could’. 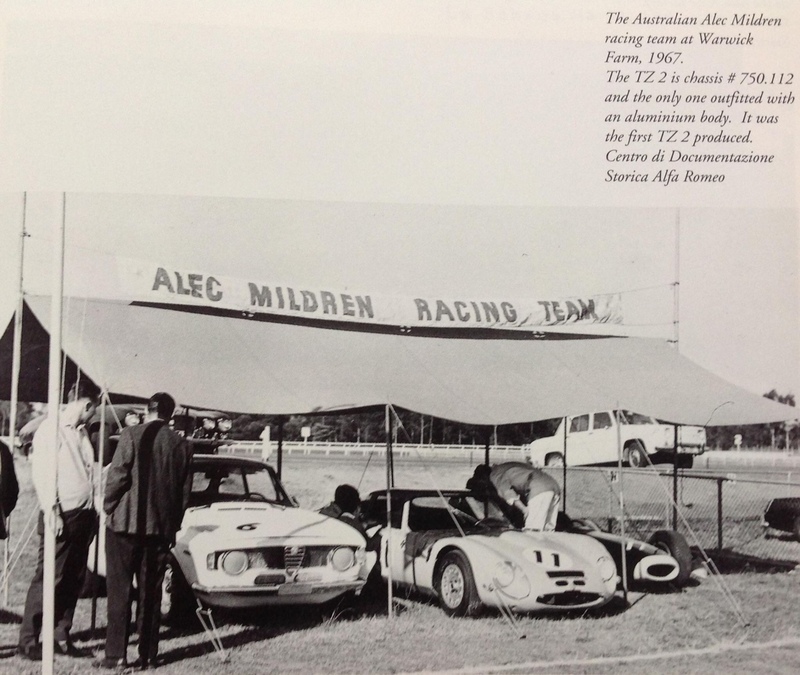 ‘ I got to race the Alfas’ and then the little Brabham BT2/6 which was powered by a pushrod Ford engine and in mid 1965 the Mildren Maserati, which was the first really powerful car i drove, racing it at Lowood and then winning the 1965 Victorian Sportscar Championship in it at Sandown’. The Mildren Maserati was a car bulit by Bob Britton of Rennmax Engineering, essentially a Lotus 19 clone using some of the running gear from Alec Mildrens 1960 Gold Star Championship winning Cooper T51 Maserati, particularly the gearbox and 2.9 litre 250S Maser engine. KB made his presence felt in that race beating Bib Stillwells’ Cooper Monaco Buick V8 and Spencer Martins’ ‘Scuderia Veloce’ Ferrari 250LM amongst others. He had well and truly ‘arrived’. 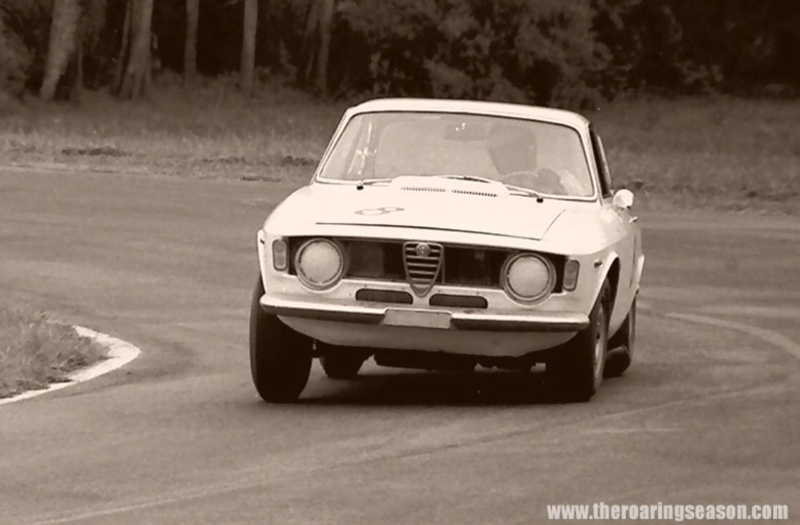 The original ‘step front’ Alfa Giulia Sprint GT was penned by Giorgetto Giugiaro at Bertone and has to be one of the most beautifully balanced, delicate designs of the 60’s. 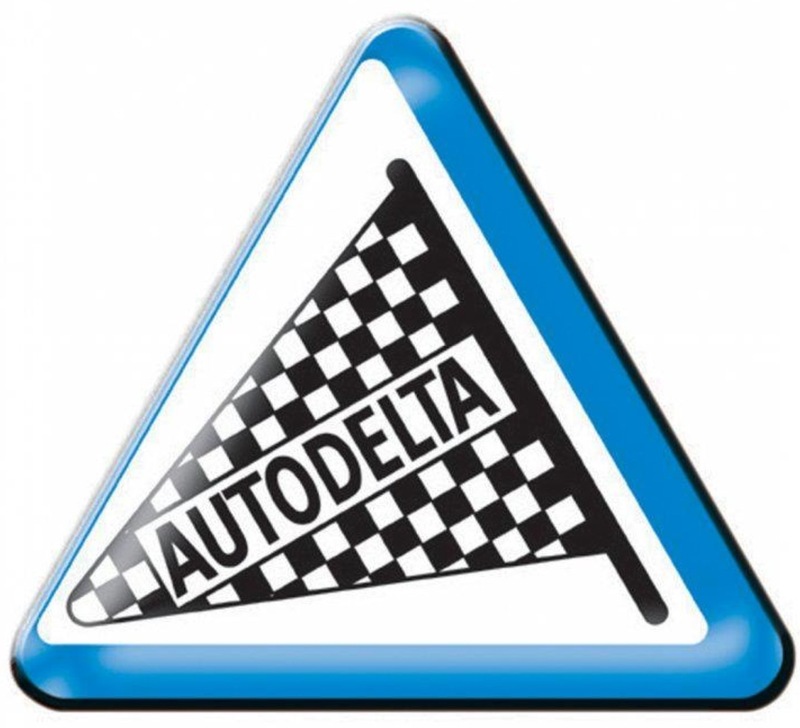 Autodelta was the factory Alfa racing subsidiary, formed by famed ex-Ferrari engineer, Carlo Chiti and Ludovico Chizzola in 1963 after the closure of ATS, the Grand Prix team formed by ex-Ferrari staff after a purge by the Commendatore in 1961. 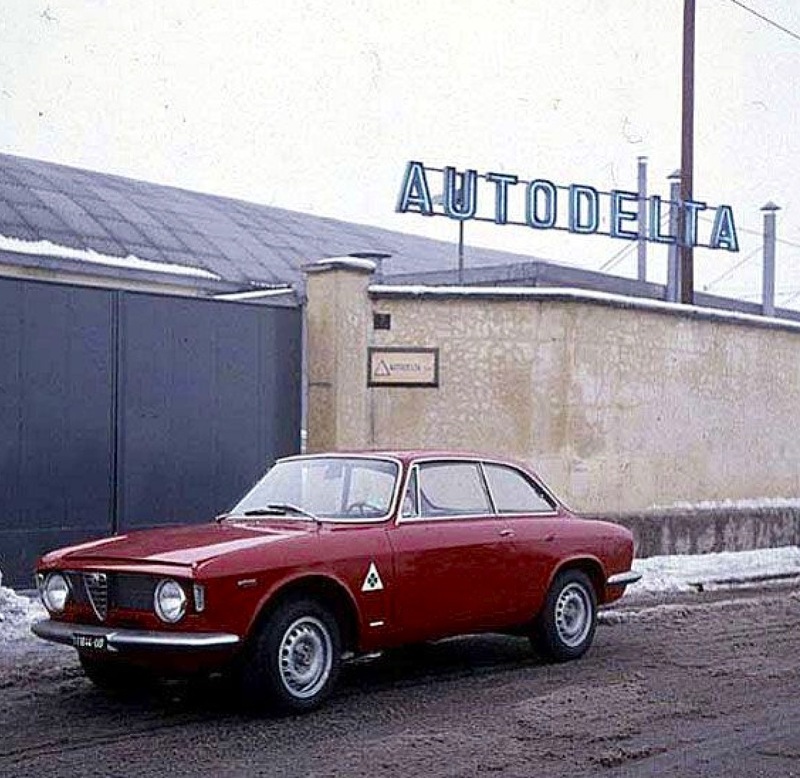 In 1964 Alfa acquired Autodelta and moved it to Milan, near its HQ. 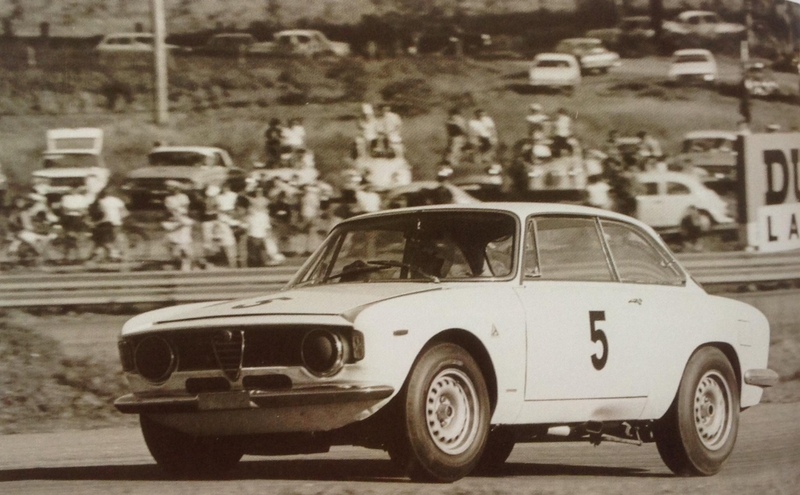 The Giulia sedan was race developed and did well, in Australia winning the Sandown 6 Hour in 1964, but it was too heavy against the Lotus Cortinas so development started on the Giulia Sprint GT in 1964. 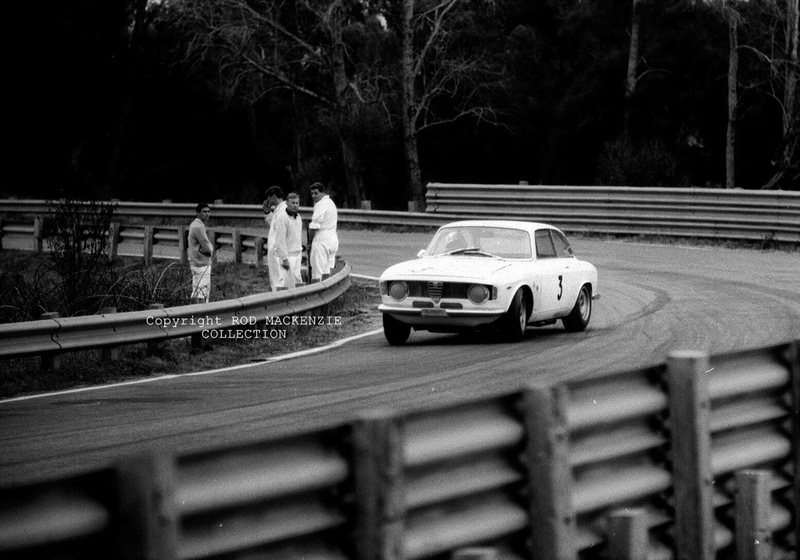 The GTA was built to compete in Sedan racing globally, ‘Group 2’ under FIA rules, which boomed in the 60’s. 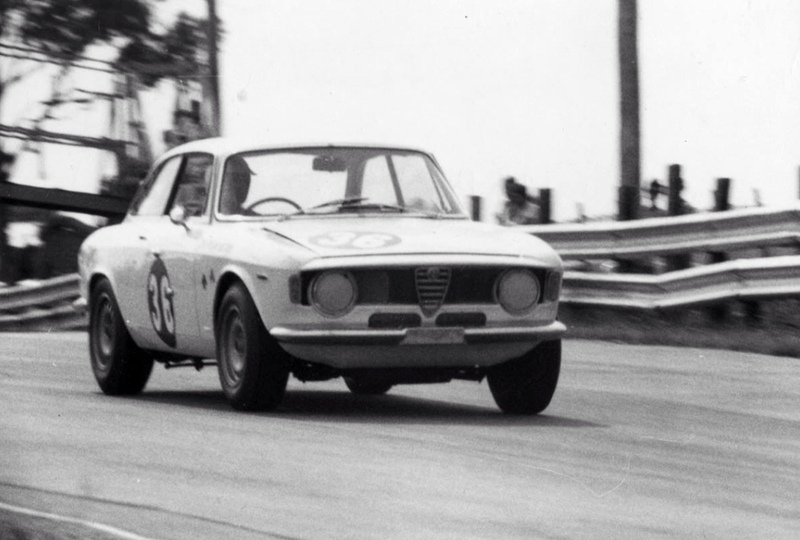 On 18 February 1965 the first Giulia Sprint GTA was unveiled at the Autosalon in Amsterdam. 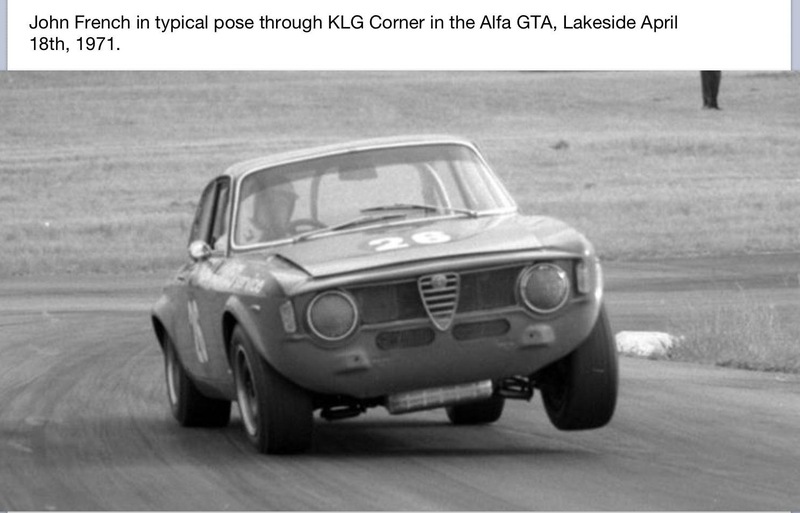 It was followed by the GTA Junior 1300 in 1968 and later the 1750/2000 GTAm. The car featured lightweight bodies, utilising ‘Peraluman 25’ a light alloy comprising aluminium, magnesium, manganese, copper and zinc. The superstructure remained steel, including the sill panels. The roof, bonnet, boot lid, rear inner support panel and spare wheel well, dash, parcel shelf support panels and rear seat support were all made from the material. 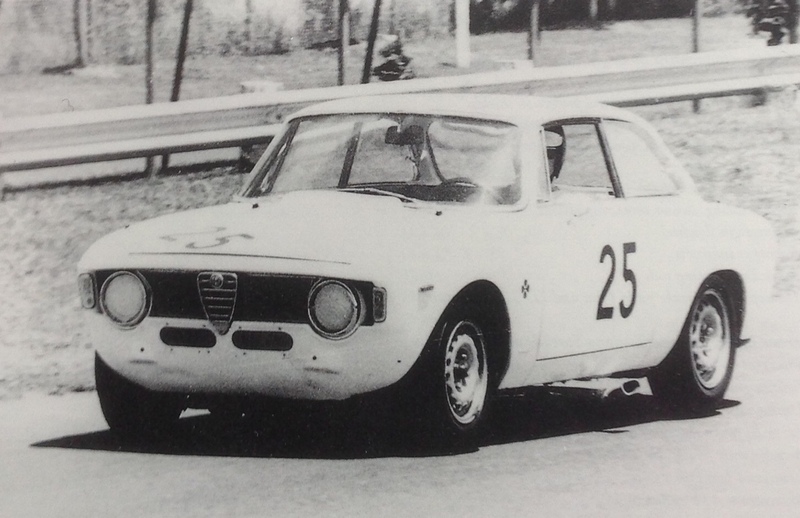 Lightening continued with minimal sound deadening, Perspex side and rear windows on Corsa (race) cars, the GTA lost 205kg compared to the Giulia Sprint GT for a total of 820kg. 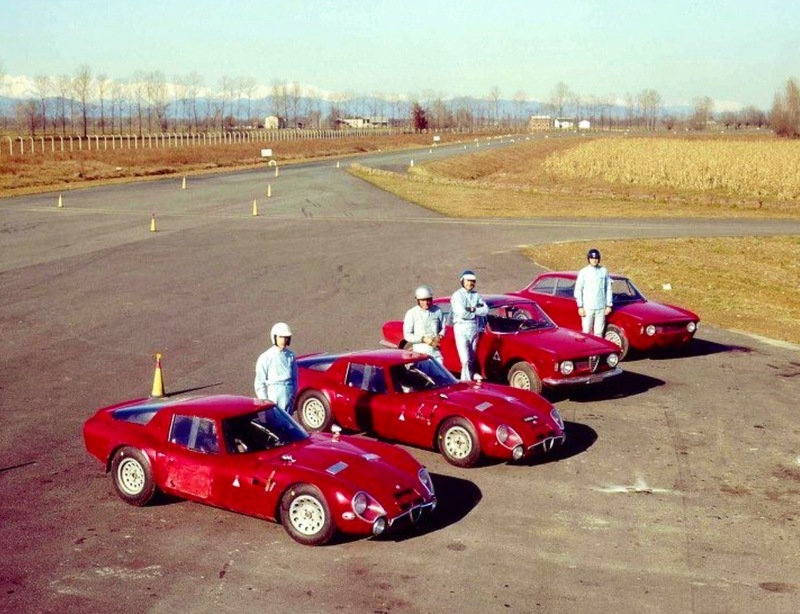 Alfa had to build 1000 cars to qualify for the FIA’s Group 2 Touring Car regulations, the Stradale (road) version helped, being built on Alfas normal, Arese production line. 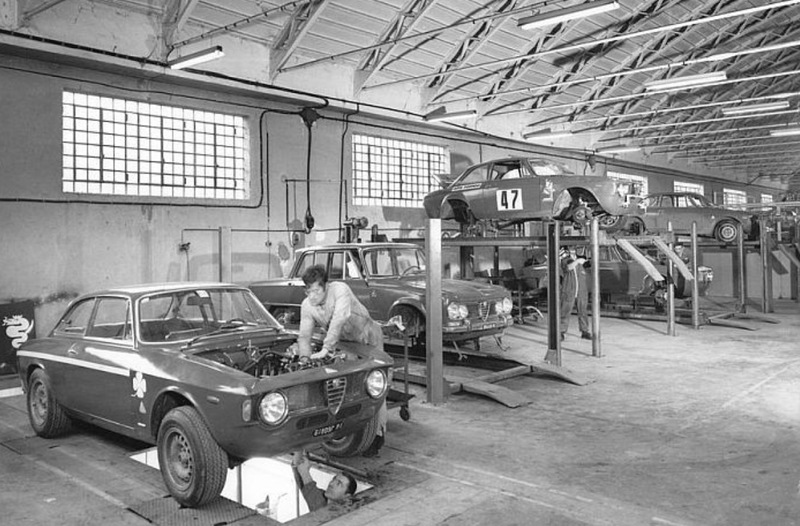 Race prepared cars were taken after completion at Arese, to Autodelta, exact specifications of each car built to the order of customers. 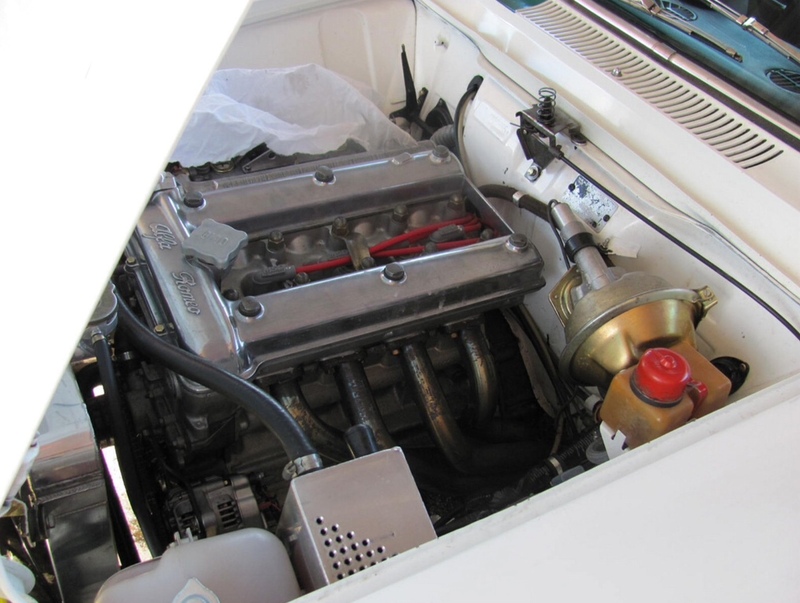 The cars engine was a twin-plug highly tuned version of Alfas famous DOHC engine. The head was ported and polished, higher compression pistons, high lift cams, lightened flywheel were fitted and all reciprocating parts were balanced, increasing power to in excess of 175BHP. An oil cooler and deeper sump aided reliability. A limited slip diff and ‘sliding block’ rear axle locating system was fitted. The standard 5 speed gearbox had a greater range of ratio choices, similarly the diff ratio was ‘to choice’ from homologated alternatives. Front suspension was modified with adjustable top arms to allow negative camber to drivers choice. The cars were immediately and immensely successful winning the first round of the European Touring Car Challenge in March 1966. Andrea De Adamich winning the Division 2 Drivers Title and Alfa the European Manufacturers title. 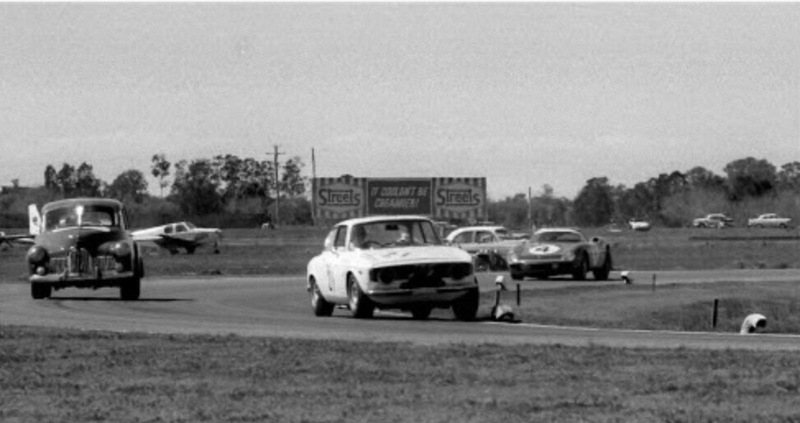 In the US Jochen Rindt won the SCCA Trans American Sedan Championship race at Sebring, many championships throughout the world followed. 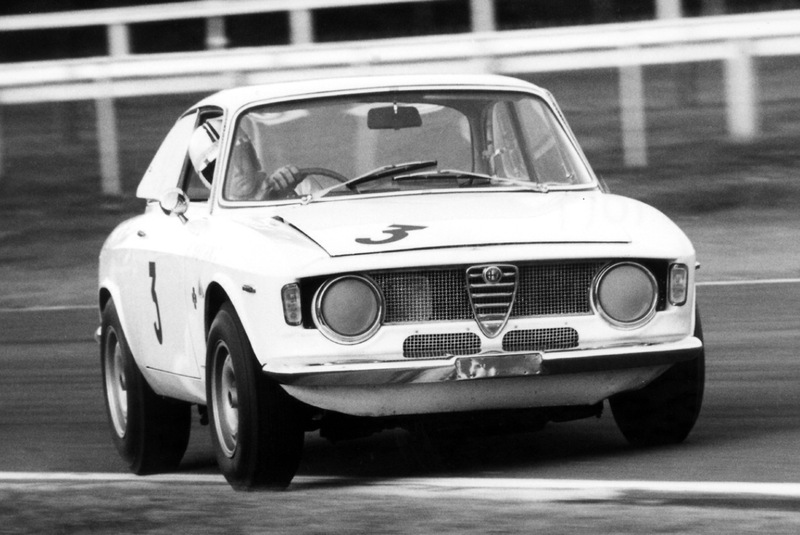 The GTAm won Alfa’s last championship for the ‘105’, the ETCC Manufacturers Championship in 1971, the cars competitive for a long time with ongoing development. 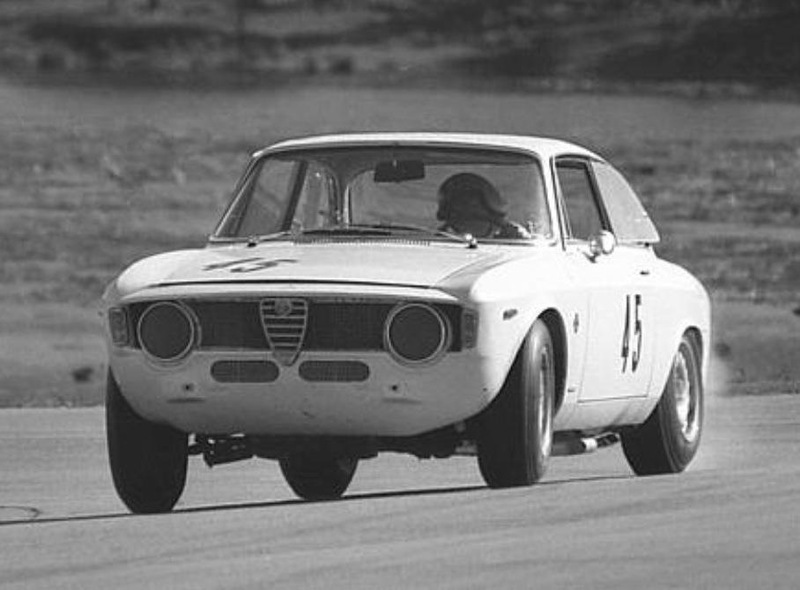 The car was raced in the Sandown 6 Hour race in November 1965 by Alfa factory driver Roberto Businello and Ralph Sach, Businello testing the car at Balacco before it was shipped to Australia. It was a ‘trick’ GTA, very light having an aluminium floor which relatively few had. 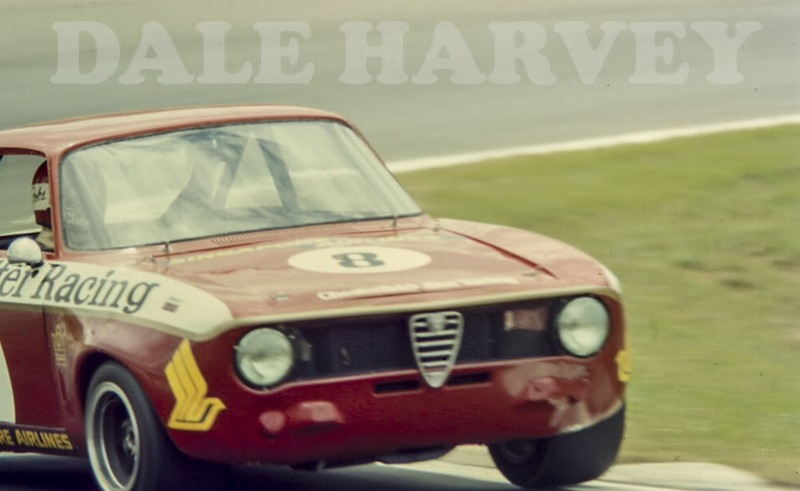 It lead the race until lap 99, victory going to Bartlett and Gardner in the Mildren Giulia Super Ti which was also victorious the year before. 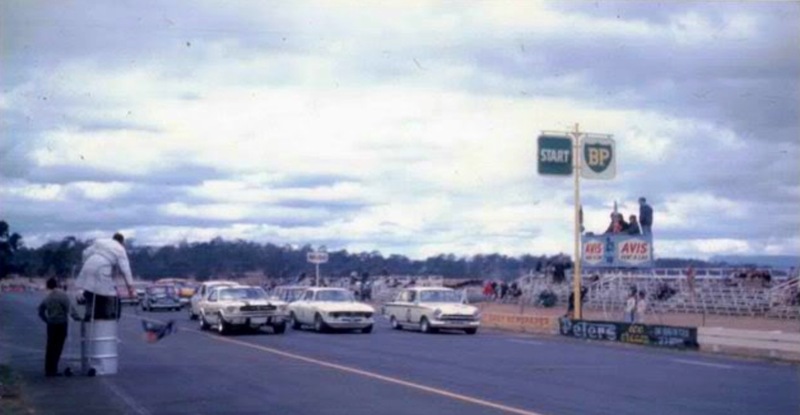 Gardner and Bartlett then raced the car in supporting events during the 1966 Tasman Series, Gardner winning outright at Warwick Farm and Sandown and Bartlett first in class at Longford. ‘It was a pleasant car to drive, KB recalled recently. 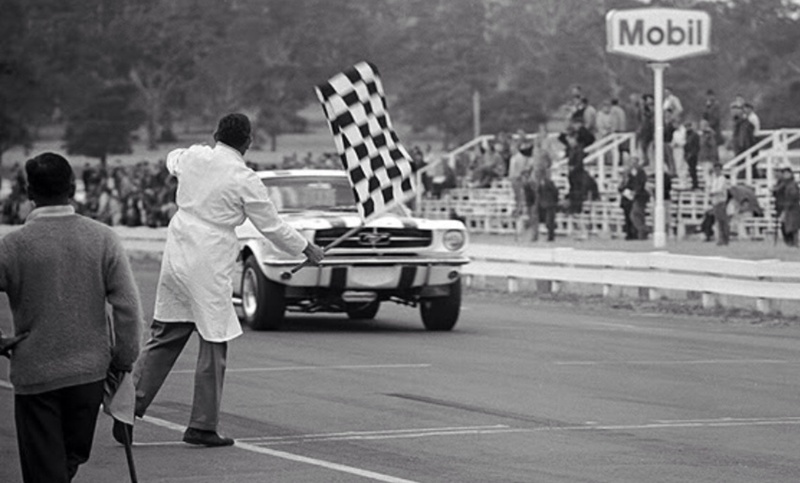 We ran the car at Bathurst, had a win there against Bob Janes’ Mustang on that power circuit. I preferred the LHD car (to the RHD car) as it had the right-hand change which was what i was most familiar with given the sports-car and single-seaters i was racing. Their was not much difference in the performance of the two cars, although the LHD was a semi-works spec car. We could knock off the big cars at Warwick Farm but it was much harder at Sandown and the like’. 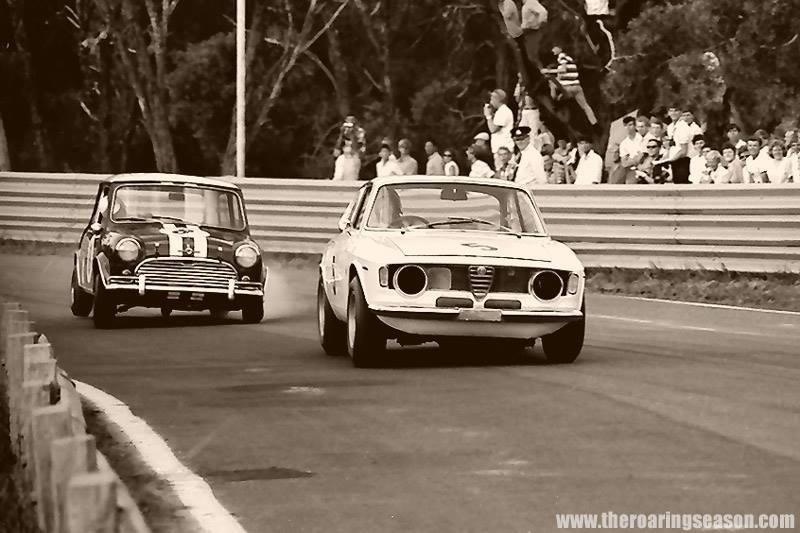 ‘The under 1600cc closest competitors to the GTA were the Mini Coopers who were giving away capacity to us, they were great handling and very quick with the right guys such as Brian Foley and Peter Manton at the wheel’. ‘The LHD was sold as it was getting a little long in the tooth in terms of miles, Alec sold it to a guy named Stephenson in WA’. 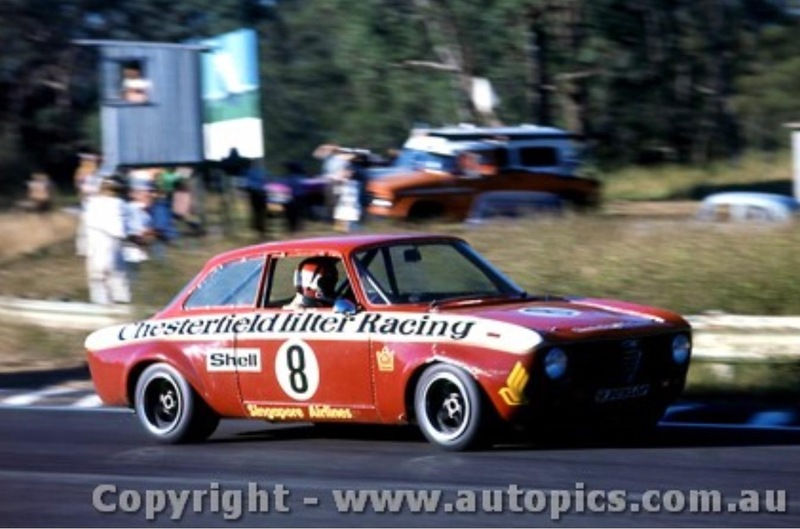 Used mainly in State level events the car also contested the Australian Touring Car Championship in 1966, in those days a one race championship. 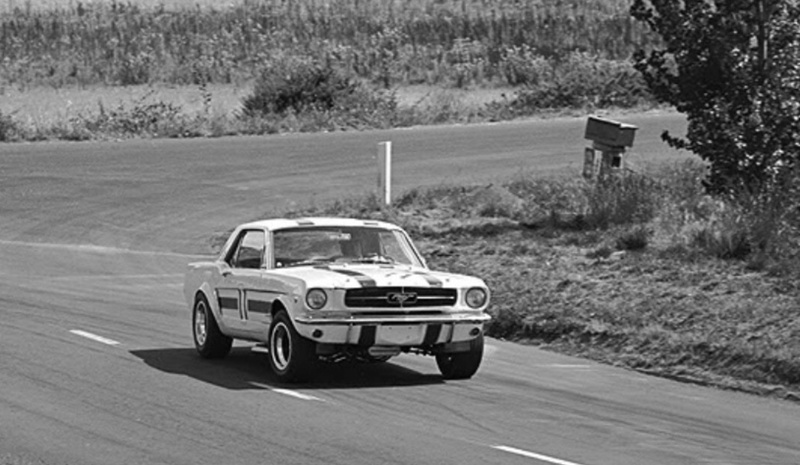 In 1966 the event was held at the Easter Bathurst meeting Bartlett doing well to finish third to the big V8’s of Pete Geoghegan and Norm Beechey in Ford Mustang and Chevy Nova respectively. 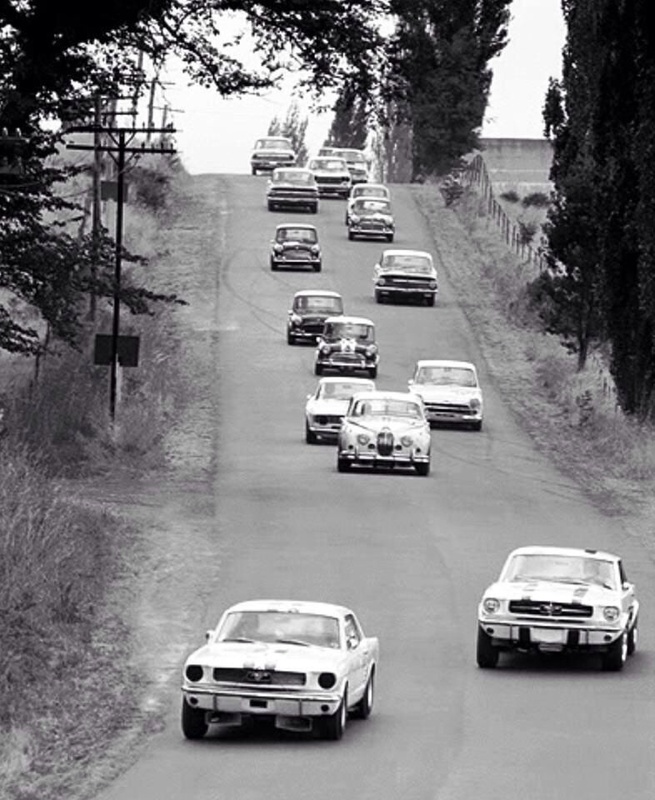 The race was run over 20 laps or 75 miles of Mount Panorama, what the GTA lacked in top speed up and down the mountain was largely made up across the top and under brakes. KB was victorious at Warwick Farm in May and that month also won the Queensland Production Touring Car Cahmpionship at Surfers Paradise. 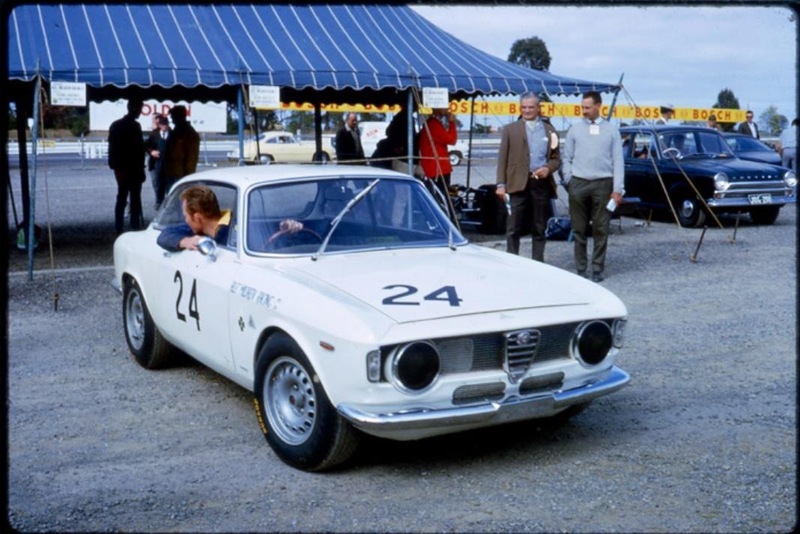 He also took a race win at Lowood, Queensland in June before the car was sold to Frank Cecchele, a Perth Alfa dealer and raced for him by Gordon Stephenson. It was rolled at Caversham in 1967. 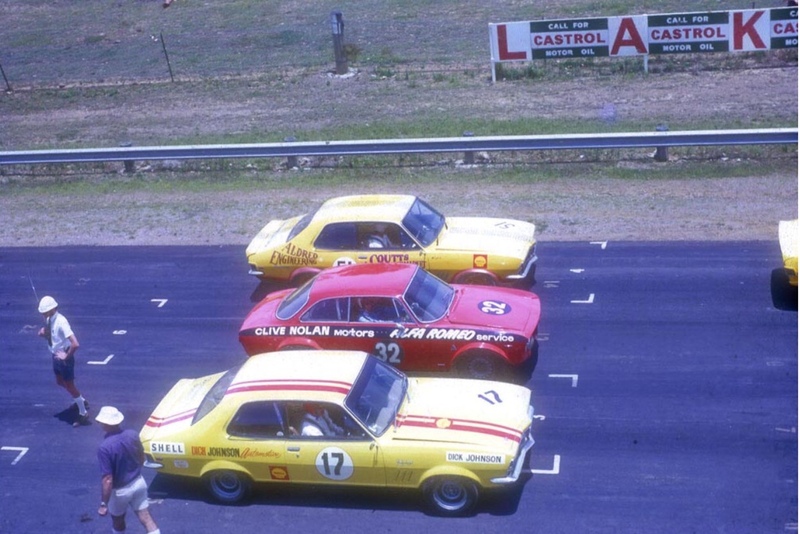 ‘LHD’ competed regularly in WA state events and the annual 6 Hour race held at Caversham ; ’67 DNF Stephenson, ’68 DNF Stephenson, and at Wanneroo Park ’69 DNF Stephenson/ Cooper, ’70 7th Ricciardello/Zampatti, ’71 DNF and finally in 1972 4 th outright and 1st in the ‘1600’ class for Ricciardello/Cooper. 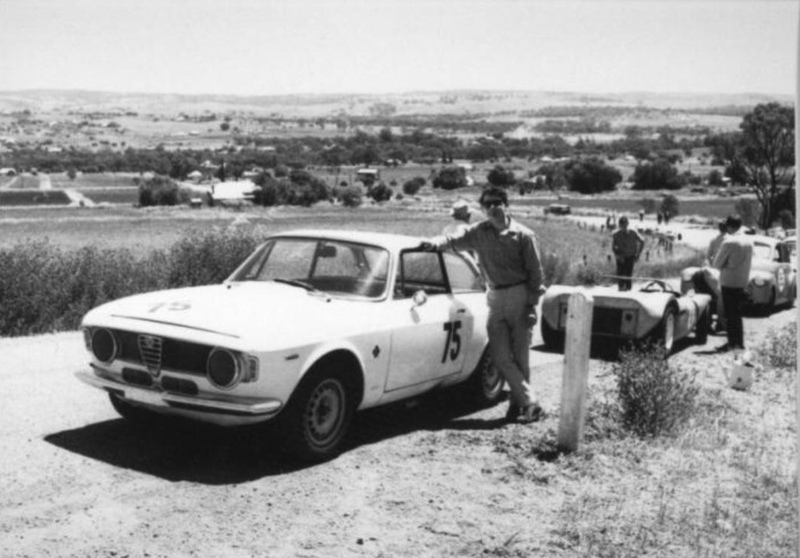 The car was all but destroyed at Mt Brown Hillclimb and from the remains Ricciardello built a V8 engined Sports sedan, initially Ford 302 and later Chev 350 powered, Cooper buying the ‘RHD Mildren Alfa’, which he later owned in partnership with Ricciardello. 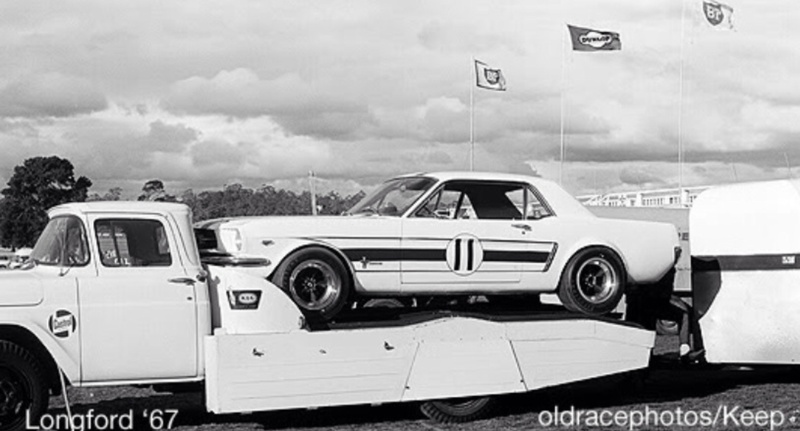 The LHD chassis number is lost in the mists of time…RHD was built in July 1965 and first raced by Gardner at Warwick Farm in December 1966. 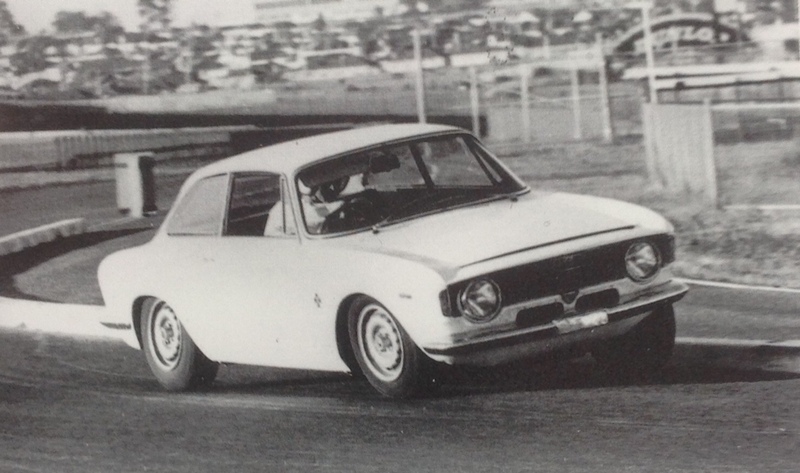 He then raced the car in numerous supporting events for the 1967 Tasman Series, winning at Warwick Farm and Longford. Bartlett then took the car over and had wins at Bathurst and Surfers Paradise. 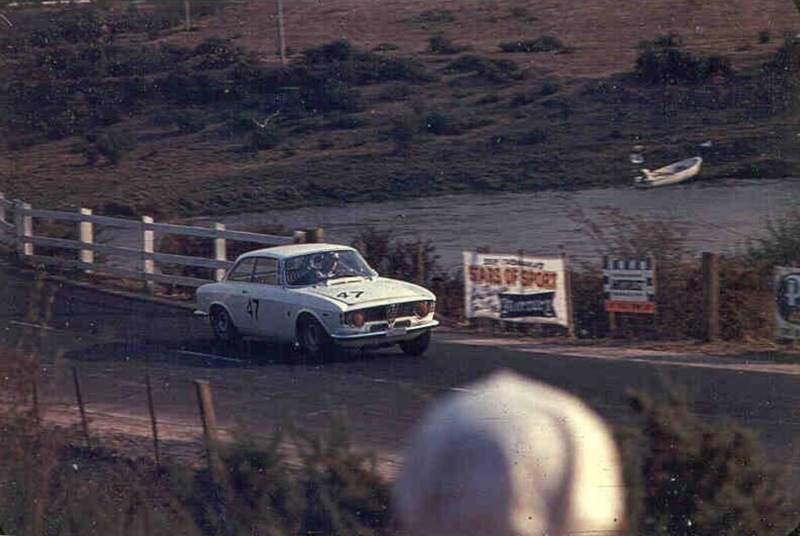 Bartlett again contested the one race 1967 ATCC, that year held at Lakeside, another power circuit, and whilst Pete Geoghegans Mustang won again, this time second and third places were secured by the Cooper S’ of Brian Foley and Peter Manton. 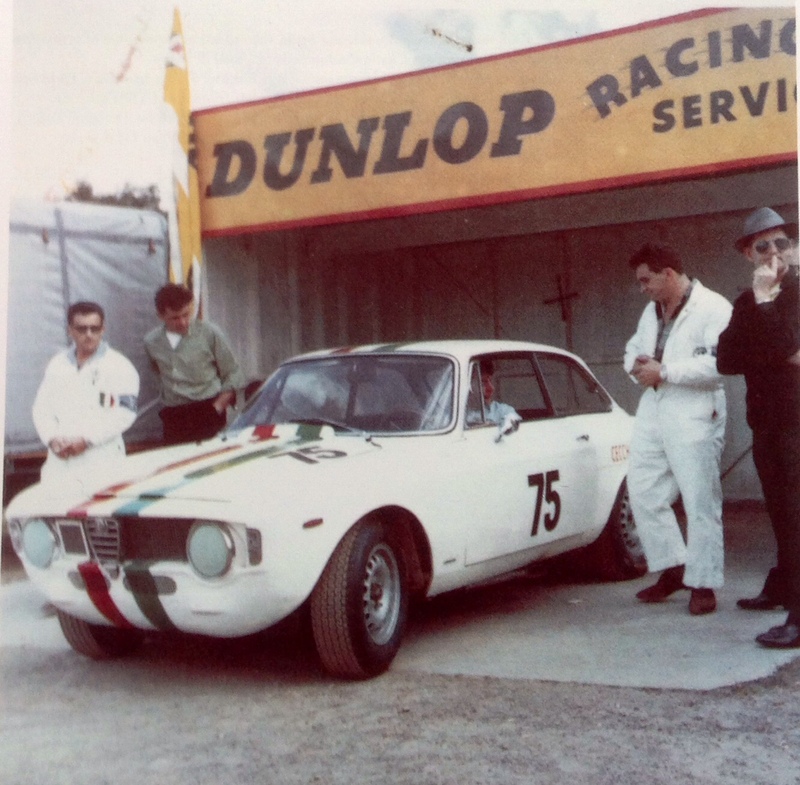 The car was sold to John French in Queensland in 1968 who raced the car and continued to develop it until bought by Brian Foley in 1972. 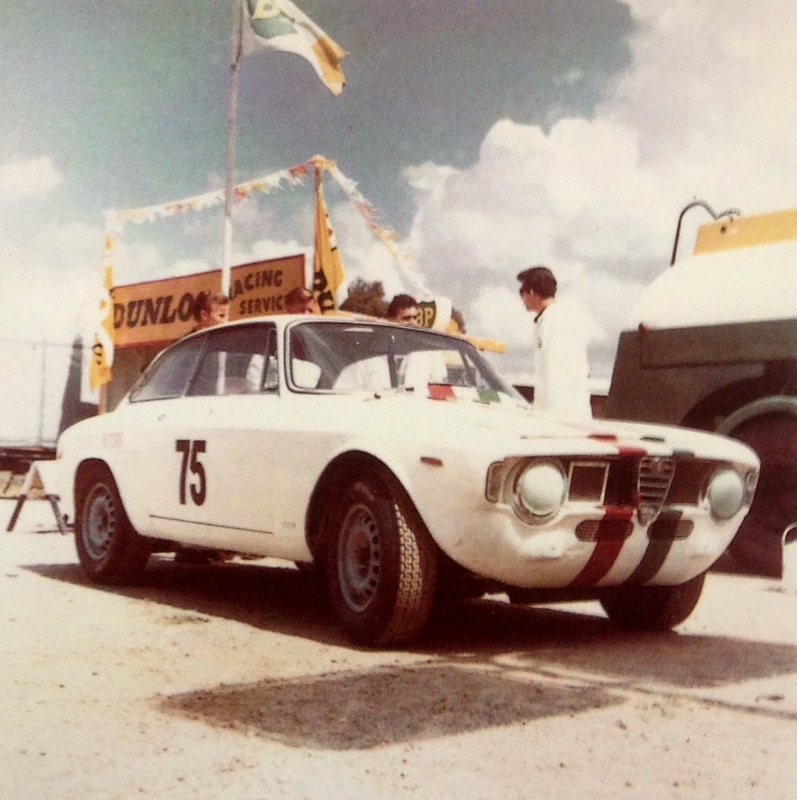 Foley had raced an Alfa GTAm in 1971 in the ATCC and in 1972 as a Sports Sedan- converted from LHD to RHD and fitted with an Alfa Tipo 33 2.5 litre V8, rather than the 2 litre, twin plug DOHC 4 cylinder engine of this factory GTAm. The T33 V8 was from Mildren’s Brabham and Mildren ‘Yellow Submarine’ single seaters raced by Gardner and Bartlett. I will write about the GTAm separately. 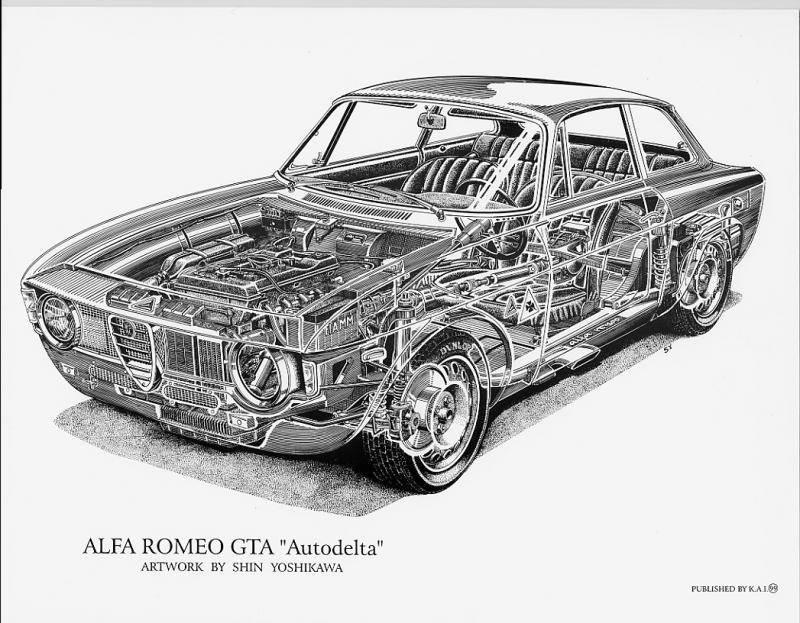 The GTAm was a ‘pork-chop’ compared with the GTA, as it lacked the earlier cars aluminium panels, it was around 200 Kg heavier. 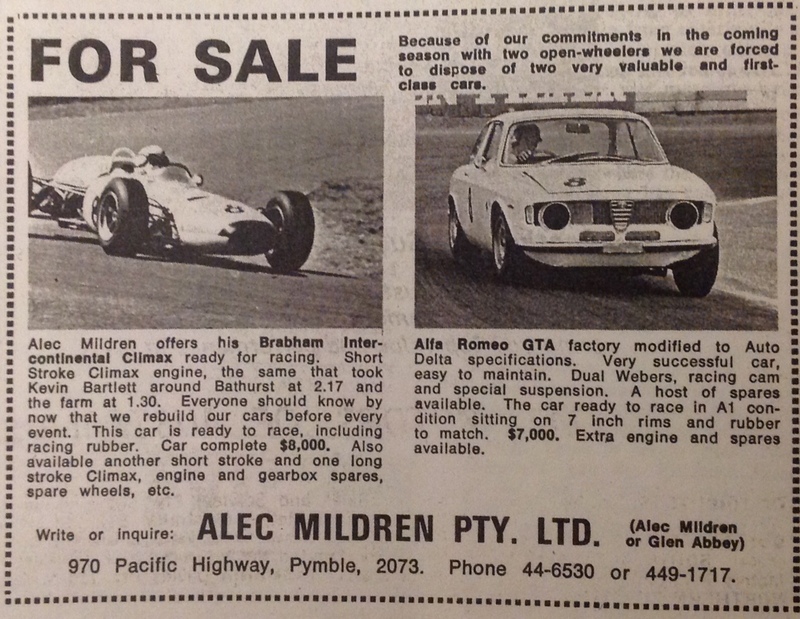 Foley, a Sydney Alfa dealer reasoned a more competitive mount for 1973 would be a lightened and modified GTA , so off to Bowin Designs in Brookvale the car went for major surgery by John Joyce to its suspension, structure, brakes, engine mounting etc. 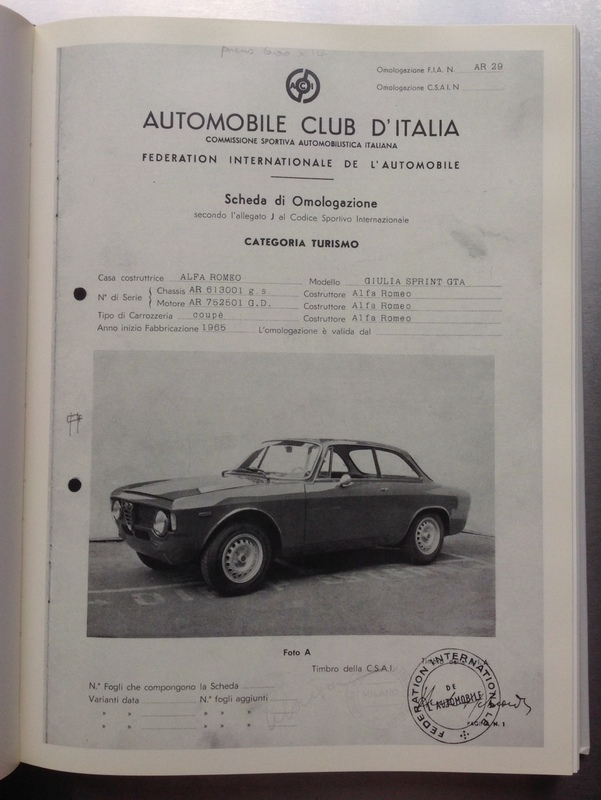 When completed, the car powered by a 16 valve 2 litre Alfa engine developing 225BHP, weighed 636Kg. 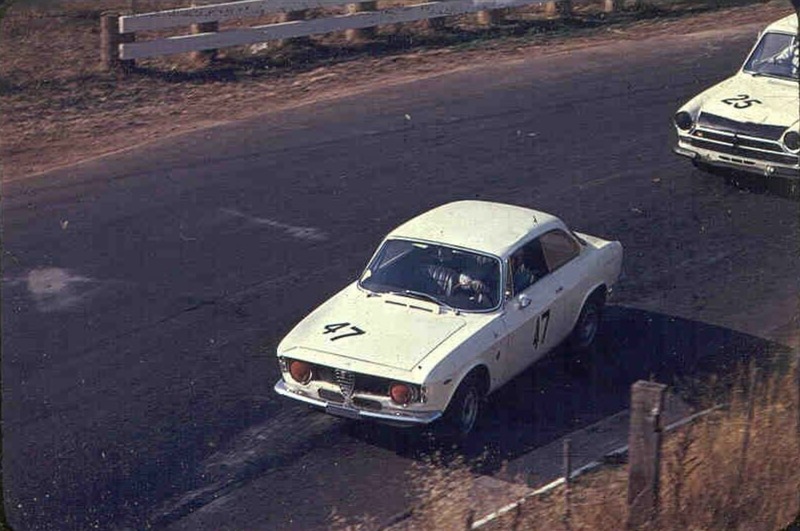 The car was fast, but V8’s were coming into the category in increasing numbers, so after a prang at Oran Park in late 1973 the car was sold to Peter Brown in Canberra. Foley essentially retired from racing after a fine career. 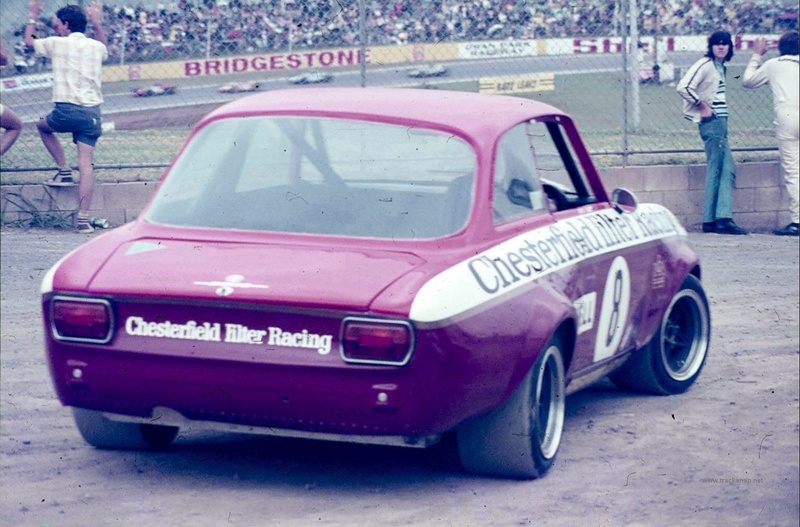 Brown, an Alfa racer from way back fitted a Mazda Rotary engine then sold the car to Neville Cooper in Western Australia, where all exotic Alfas’ seem to end up! The ‘LHD Mildren GTA’ having been damaged too much in race accidents to continue with it. 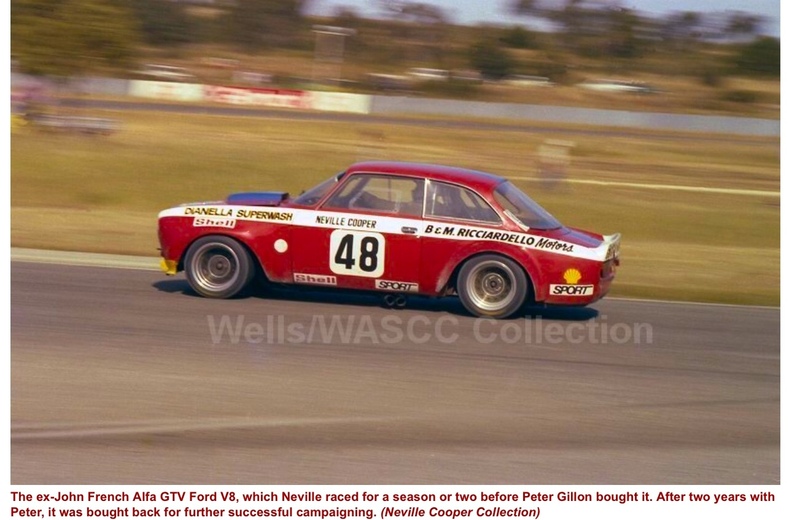 A Ford V8 was fitted, the car was then sold to Peter Gillon who raced it for two years before being acquired by Ricciardello and Cooper in Partnership. 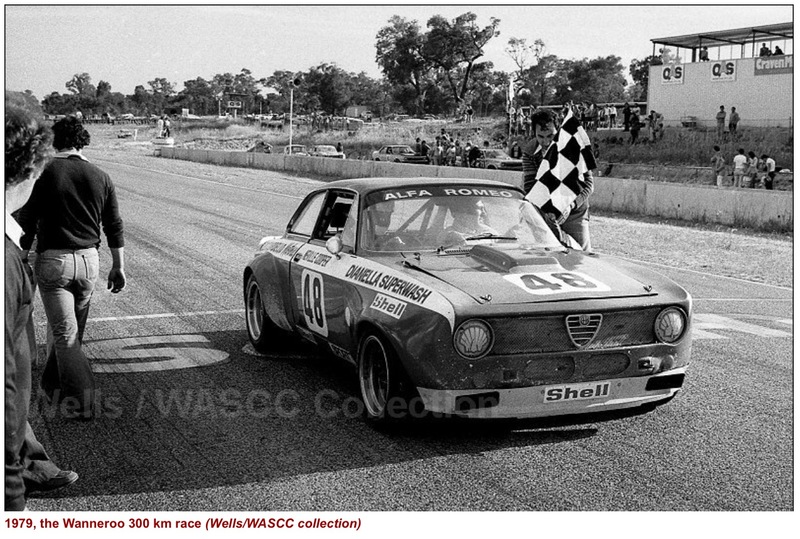 It was raced very successfully including a win by Cooper in the 1979 Wanneroo 300Km race, the car was always competitive in WA Sports Sedan competition during this period. 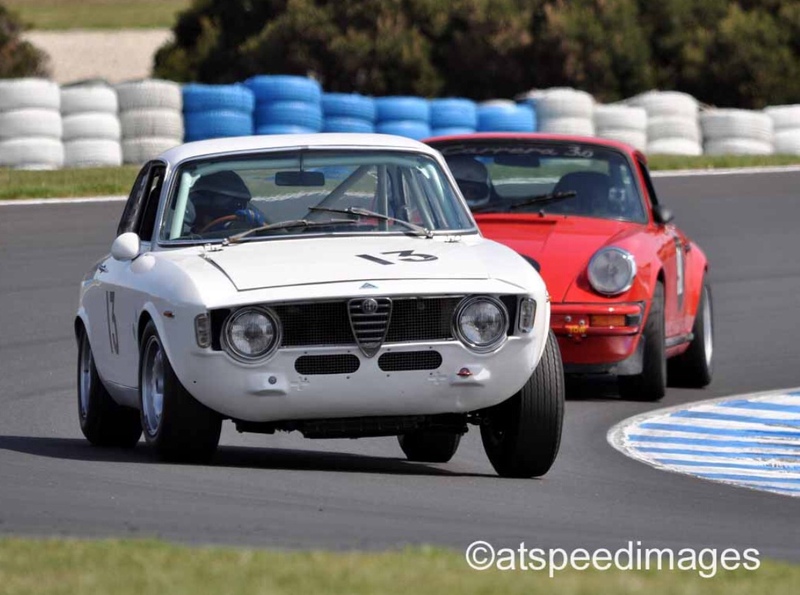 Ultimately the much raced GTA was acquired by a Sydney enthusiast who had owned GTA’s before and was aware of the cars provenance, a long restoration followed, the car is now a regular entry in Historic events across Australia. It appears there were two other GTA’s which raced in Australia ‘in period’. 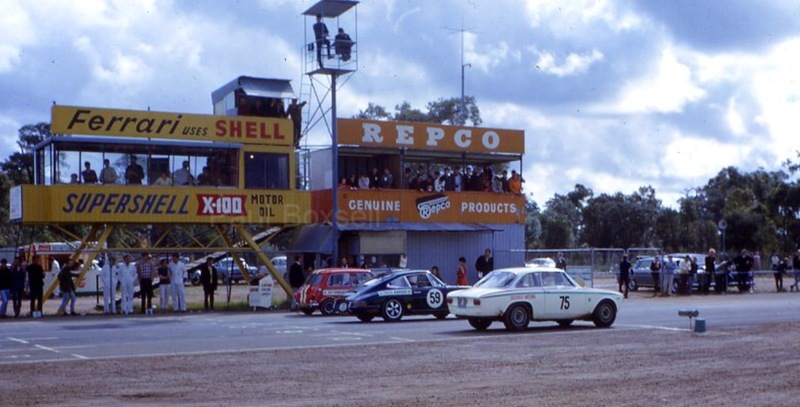 The ‘MW Motors GTA’ was raced by Syd Fisher and Frank Porter for MW who were the Victorian Alfa Distributor, sold to Mario Marasco, who raced the car as a Sports sedan and wrote it off at Hume Weir. It is presumed lost. The ‘Gulson RHD GTA’ chassis # ‘75247’ was restored from a ‘fire wreck’ in Western Australia, Vin Sharp last had contact with the owner in Scotland about ten years ago.